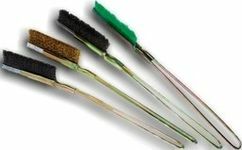 A range of hand brushes, ideal for rust removal, paint and dirt from any kind of surface.Their narrow faces makes it easy to get to hard places. A very handy and practical tool. A wide range is available, see below. 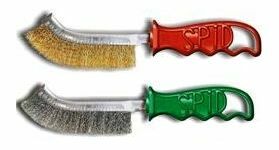 SCRATCH BRUSH 4 ROW WOODEN HANDLE S.I.T.